Linda Shenton Matchett: Forensic Friday: What's in a Bullet? 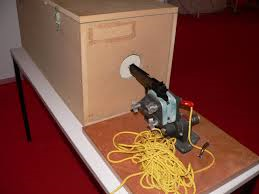 You’re familiar with the concept of fingerprinting, but have you ever heard of ballistic fingerprinting? With all of the crime dramas on television, maybe you recognize the term. For those of you who don’t know “ballistic fingerprinting” is using a variety of forensic techniques to match a bullet to the gun with which it was fired. 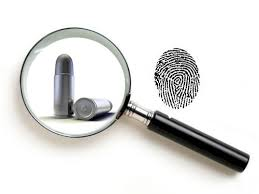 Fingerprinting is based on the principle that all firearms have variations due to marks left by the machining process. Because the variations aren’t completely polished out, they leave impressions on the bullet. 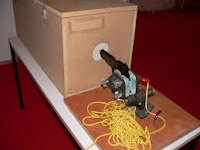 Calvin Goddard, a physician and ex-army officer, is Army Ordnance titled “Forensic Ballistics” in which he described the use of the comparison microscope. However, more than 100 years prior to his article, a killer was brought to justice in England when the markings on a bullet taken from the victim were matched with a bullet mold belonging to the suspect. (Back then you made your own ammunition). Goddard went on to form Bureau of Forensic Ballistics, an independent criminological laboratory, because few law enforcement agencies had the capabilities of providing this service. There are three characteristics used during the identification process. The first is the easiest and most apparent. 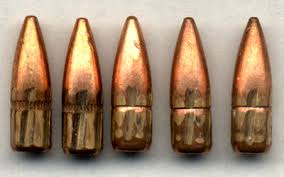 It is referred to as the “gross difference.” For example, a 10 mm bullet could not have been fired from a 9 mm barrel. rifling in the barrel. Rifling varies among manufacturers and models. For example, Smith and Wesson use a right hand twist, and Marlin Firearms uses a 16-groove rifling. Breech markings are the third classification. This refers to the marks on the cartridge case which are often easier to identify than bullets. The concepts here are that the parts of the weapon that produce the marks on the case are less subject to long-term wear, and that bullets are often severely deformed on impact, destroying much of the markings they acquire. 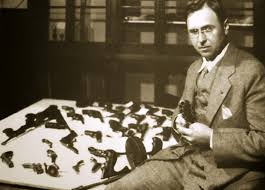 Goddard’s techniques were used to solve many high profile cases including the Sacco and Vanzetti payroll robbery case during which a paymaster and the guard were killed. A century later these techniques are still used, however, many are performed by computers instead of humans.